I may be a bit biased, but I think Canada is the most beautiful country in the world. We’re known for our extraordinary landscapes and striking natural beauty, and for good reason! From a roaring waterfall free falling into vivid blue waters to astonishing mountain landscapes, here are six of the most naturally beautiful places to visit in Canada this summer. Canada is the second largest country in the world and spans 15 ecozones, so you can expect to find a vast range of distinctive landscapes and natural wonders from coast to coast. 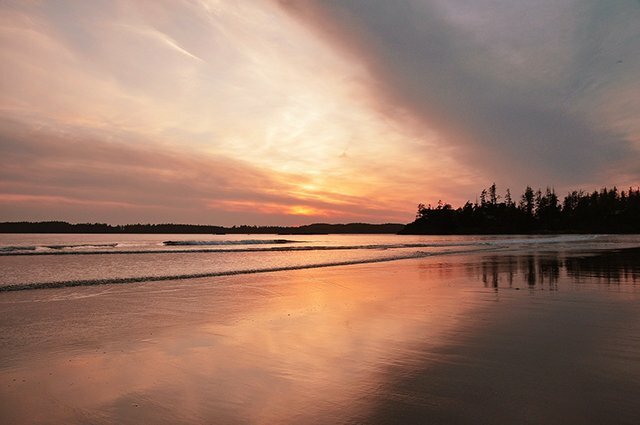 Along the West Coast in Tofino, BC you’ll find sandy beaches and stunning clear water as you soak up the warm summer rays. Try your hand at surfing, or go on a whale watching adventure where you can see gray and humpback whales up close and personal. If you’re really lucky you might even encounter transient Orca whales. While in Tofino, make sure to take a walk in the old growth rainforests and explore the fascinating intertidal areas in the Pacific Rim National Park Reserve. Banff National Park in Alberta has almost any and every natural beauty you could ever possibly imagine. Enjoy the stunning views of the Rocky Mountains, take a drive on the beautiful Icefields Highway to Jasper National Park, or walk along the Columbia Icefields glacier. Get a bird’s eye view of the spectacular landscape from the peaks of Mount Rundle and Cascade Mountain. From the picturesque waterfalls in Johnston Canyon to water fun at Moraine Lake, Banff is a natural wonder you won’t forget. The Yukon Territory boasts a spectacular terrain filled with beautiful landscapes, the tallest mountains in Canada, and wild expeditions. 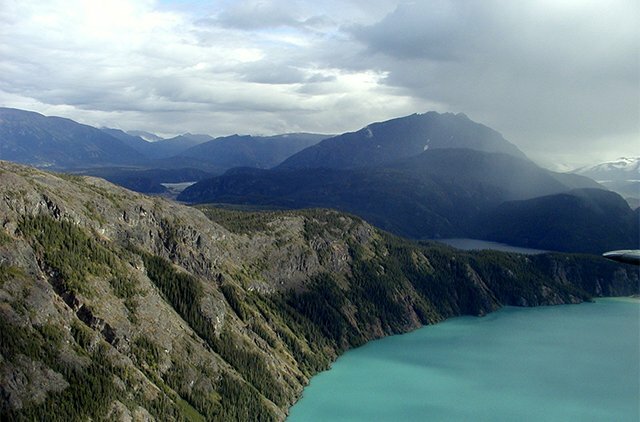 If you want to get off the beaten path and enjoy northern beauty at its finest, visit Kluane National Park and Reserve where you’ll find untamed wilderness and Mount Logan, the tallest mountain in Canada at 55,959 metres (19,551 feet) tall. Summer visitors to the far north can also experience the uniquely Arctic phenomenon of midnight sun. Imagine watching the sun set at 2 am, then rise again an hour later! Everyone should visit this natural wonder at least once in their life. The falls straddle the Canadian-American border, but you need to visit the Canadian side to capture the most awe-inspiring photos of the falls. 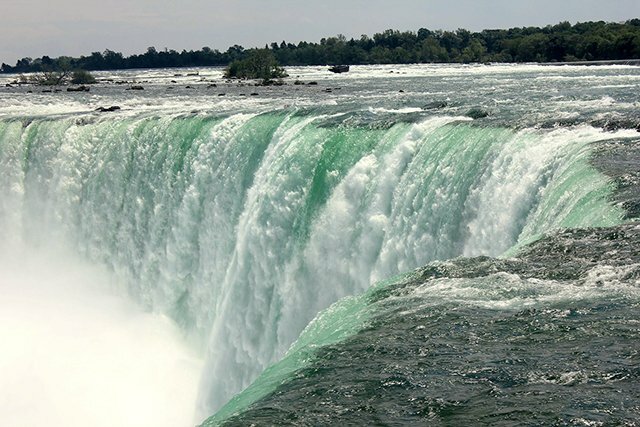 This destination has become one of the biggest tourist spots in the world thanks to the beauty and sheer power of the waterfalls like none you have ever seen. Take breathtaking photos, walk up to the top of the falls, and enjoy an exhilarating boat ride to the middle of the most beautiful wonder of the world! The Bay of Fundy is on the beautiful Atlantic coast, between the provinces of New Brunswick and Nova Scotia. Throughout the year, you can enjoy Bay festivals, head out for a day of scenic fishing, explore the natural historical culture of the people, or just get out into the great outdoors. The Bay of Fundy is famed for the highest tides in the world. 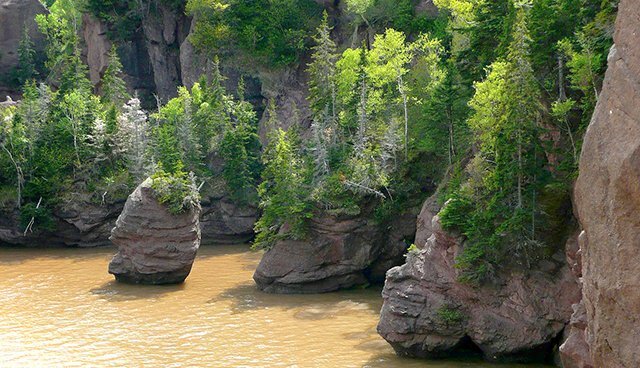 The incredible power of its tides can be seen best at Hopewell Rocks, a natural wonder you won’t want to miss. With low tide and high tide only 6 hours and 13 minutes apart, you can experience both in the same day. Cape Breton, Nova Scotia is an island on the Atlantic Coast and Canada’s 18th largest island. Enjoy a piece of both worlds when you visit Cape Breton Highlands National Park. Take a journey through time at the Fortress of Louisbourg, boat on the Bras d’Or Lake (actually an inland sea), dance the night away at a traditional Ceilidh, or embark on a coastal adventure. 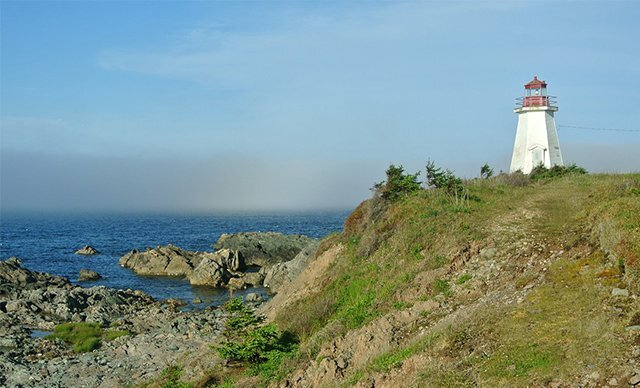 You won’t want to miss the country’s most scenic trail, Cabot Trail, passing through Cape Breton Highlands National Park with its spectacular mountain and ocean views. You may leave Cape Breton, but your heart will always stay! 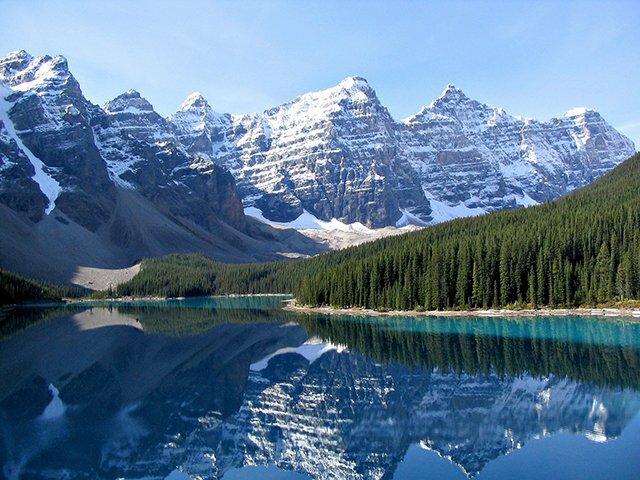 Canada is full of natural wonders, impeccable beauty, and picturesque adventures. Though you may not get to visit all of Canada in one trip, these 6 naturally beautiful places should be at the top of your bucket list. Which of these natural wonders are you longing to visit? 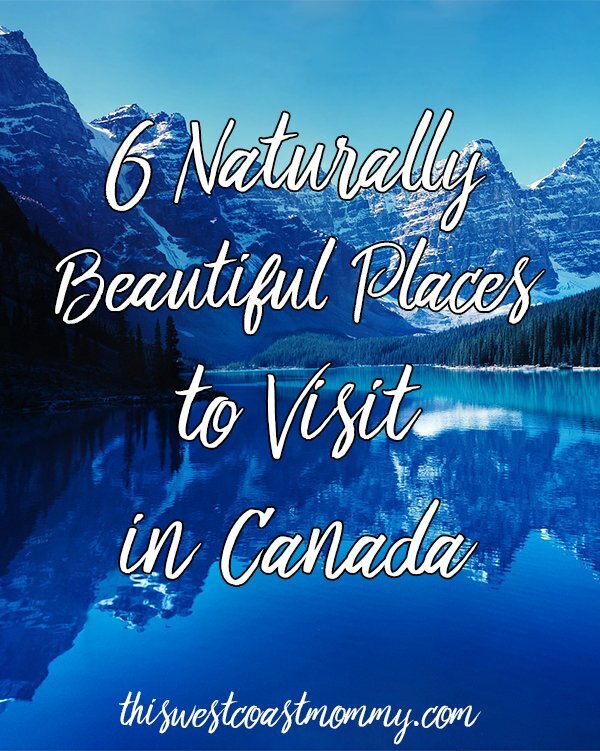 Which naturally beautiful Canadian destinations would you add to this list? Wow! All those places sound beautiful to visit. Two tops I really like to visit are Tofino, BC and Niagara Fall. Beautiful! Omgosh I would add all of them!! So beautiful!! I live in Wisconsin and can really appreciate natural beauty and the outdoors. Canada looks very similar!! Id love to visit there!! Its so vast that I would’ve never known where to start!! Thanks for an amazing list!! I’ve been to Canada twice, but to Manitoba, so these other places sound really neat to go to sometime. Canada looks so beautiful. It’s definitely on my bucket list. It’s so hot here and I’d love to head north to cook off in the beautiful mountains. We truly live in a beautiful country. 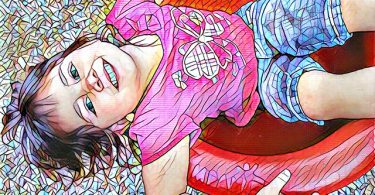 I have been trying to share this and I keep getting error messages… Beautiful list that is worth sharing! It’s not a typical error like “404 forbidden” or a different error code. I really want to visit Tofino. I grew up in Victoria but never made it there before moving away. We live near Banff now and there are so many amazing things to see there! These all look breath taking! Would love to visit Canada one day! Quebec has so much to offer as well. Having just returned from a great trip through Gatineau and Outaouais Region I have to say there are many spots in the province that I would nominate. I think Gatineau Park tops my list actually. You missed PEI! Amazing white sand beaches, friendly people and great food. Super kid friendly too! Canada is beautiful, I do hope that when I retire that I can do a across Canada holiday, would love to see the East Coast, and more provinces.